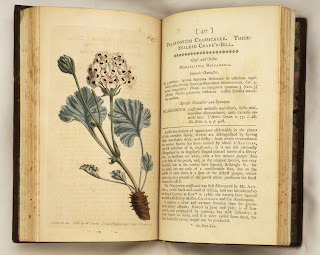 'Flowers, Fruit and Foliage', the latest exhibition from the Sir George Grey Special Collections has opened. The exhibition features botanical illustrations from the collections and runs from 29 November 2012 to 17 March 2013 at the Central City Library, 44 Lorne Street, Level 2. 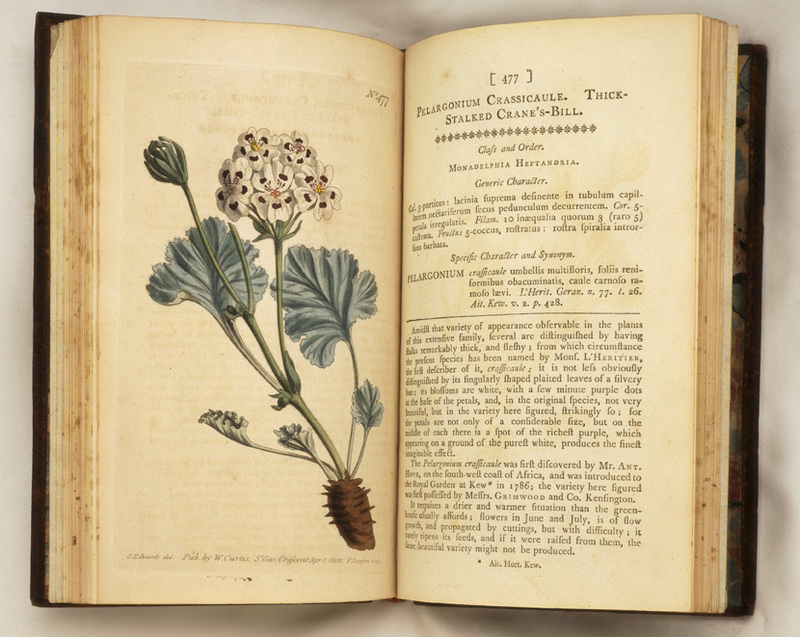 While pictures of plants in books are often produced as a practical guide for identifying useful, or common, or newly discovered species, the resulting illustrations can be beautiful works of art in their own right. The books in this exhibition were all chosen for their illustrations and date from 1578 through the great age of botanical illustration in the 18th and 19th century, to the wood engravings of the 1930s. The earliest book on display is a herbal printed in 1578, but there are many beautiful hand-coloured engravings from the 18th century, and very rich colour printed illustrations from the 19th. ﻿Many of these contain splendid illustrations from the foremost botanical illustrators of their day, artists such as Pierre Redouté, Georg Ehret and Walter Fitch. There are also books describing the discoveries of explorers and plant collectors like Joseph Banks. The drawings of the specimens Banks collected on Captain Cook’s Endeavour voyage were not published until the magnificent engravings in Captain Cook’s florilegium were printed in 1973. New Zealand’s distinctive native flora appears in a number of early descriptions of the country, including the hand coloured lithographs in Wakefield’s 'Illustrations to Adventure in New Zealand', printed in 1845. Copies of this book can be found in the Sir George Grey Special Collections and a copy can also be found in the Angela Morton Collection, which is part of the North Auckland Research Centre's heritage resources at Takapuna Library. The new exhibition at the Gus Fisher Gallery entitled 'Art in the service of science: Dunedin’s John Buchanan (1819-1898)' shows the intricate skill and beauty evident in John Buchanan's (1819-1898 botanical drawings of New Zealand plants and geological maps.